It’s crucial that you understand volunteers’ motivations. 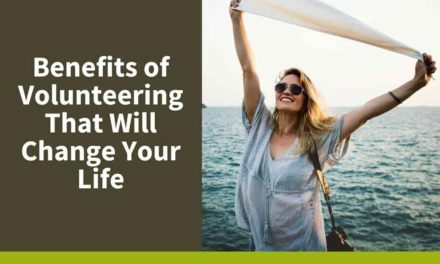 Once you do, you can inspire your volunteers by ensuring that their interests coincide with your nonprofit’s mission. 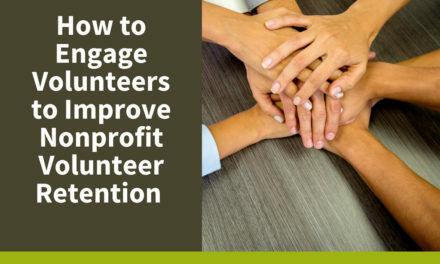 Read more about this in Part 1 of 5 Ways Nonprofits Can Increase Volunteer Retention. As we mentioned, a lot of nonprofits tend to treat volunteers equally. They are seen as a disposable workforce that can be used for all kinds of tasks, whether or not they are well suited for them. When deploying your volunteers, it’s better to find out what kinds of skills they possess and use them effectively. Some people are better at planning and organizing, while others are better used for skilled labor. Research has confirmed that many volunteers don’t want to work for a nonprofit where their skills are going to waste. Failing to take the time to find out what they are and how they can be used may cost you a valuable piece of your organization. Gamification: make the process a bit competitive and offer rewards or prizes for those who do the best. Incentive Programs: if there are parts of the organization that are more desirable for volunteers, then make sure that they know that they can get to that level if they put in more work or showcase valuable skills. Celebration: when you achieve a fundraising goal, host a pizza party. It doesn’t have to be expensive, and you may be able to get donations from local businesses. In the end, show your volunteers that there are perks to donating their time. Recognition is always a crucial part of any job, more so when your workers are volunteers. Be sure to thank them and illustrate how much you appreciate their effort and hard work. A little bit of recognition can go a long way, so don’t hesitate to show your volunteers some love. Going a step further, be sure to follow up with any volunteers who leave the organization. Find out if they are willing or able to come back, or find out what made them go. Putting in extra time to reach out to your volunteers will show that they matter to you, and you may be able to get them back into the fold. If not, then it can provide valuable insight into what methods are working or not. Overall, volunteer retention should be an investment. Although many nonprofits focus their attention on donors and fundraisers, they don’t show the same love and investment in their workforce. 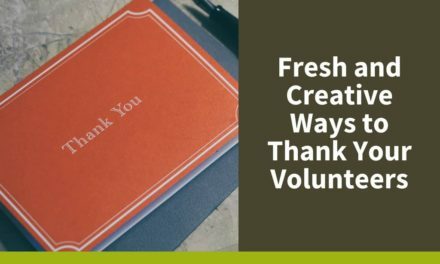 Treat your volunteers as a valuable resource, and they will likely stay with you a lot longer. Hawaii-based software developer and business process expert focused on supporting your business goals through the strategic application of internet marketing (business website, social media, digital advertising, email marketing, and content creation and curation).